Precision bot defense, delivered in milliseconds. MediaGuard is fast. Ideal for a blocking or preventative use case, it combines the accuracy and resilience of FraudSensor with powerful machine learning to deliver precise bot decisions in milliseconds. With a simple API call you can now eliminate fraud at lightspeed, at scale and with confidence. Combine the power of detection with the speed of predictive machine learning. MediaGuard layers a super-fast predictive, machine-learning algorithm on top of our existing detection methodology. 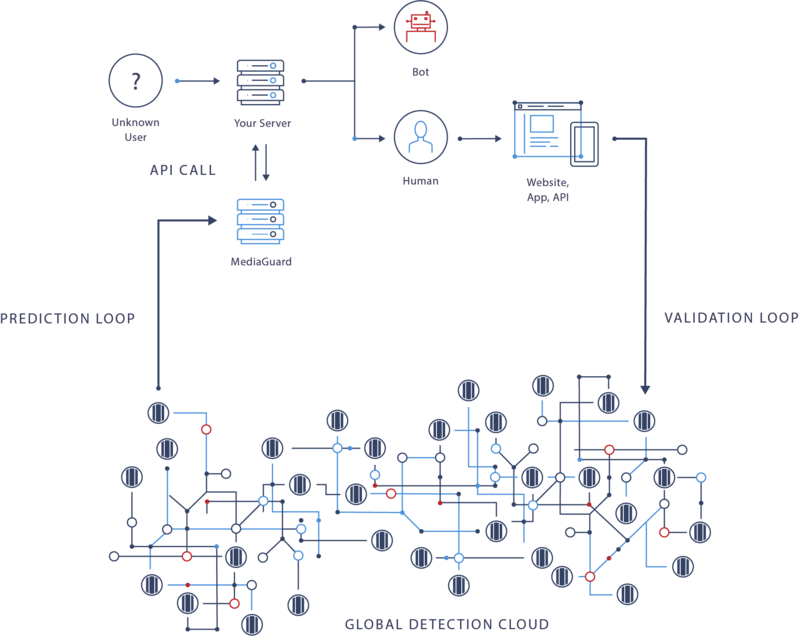 It continually learns from the results of the global FraudSensor detection network to accurately predict the presence of automated bots. We've got your back. Everywhere. MediaGuard scales dynamically to your traffic and latency demands. Every day White Ops processes up to 150 billion decisions across 6 continents. 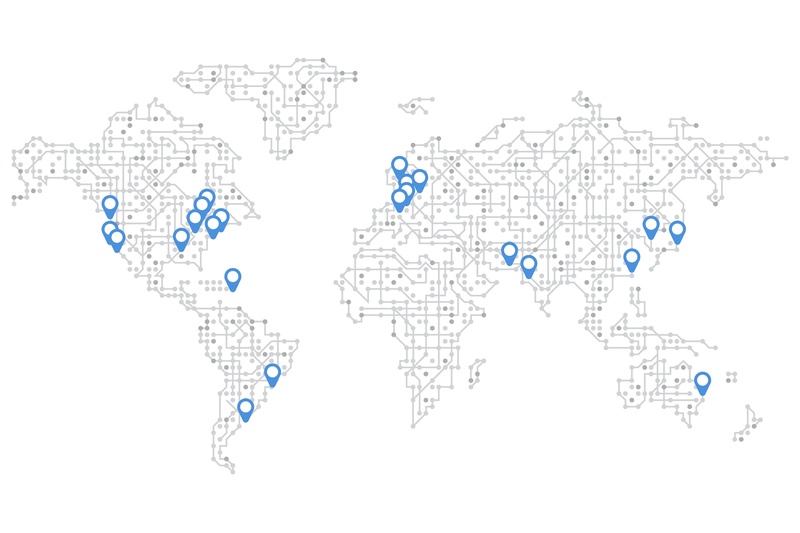 With 25 data centers globally, every customer has access to fast, local connection no matter where they are located. 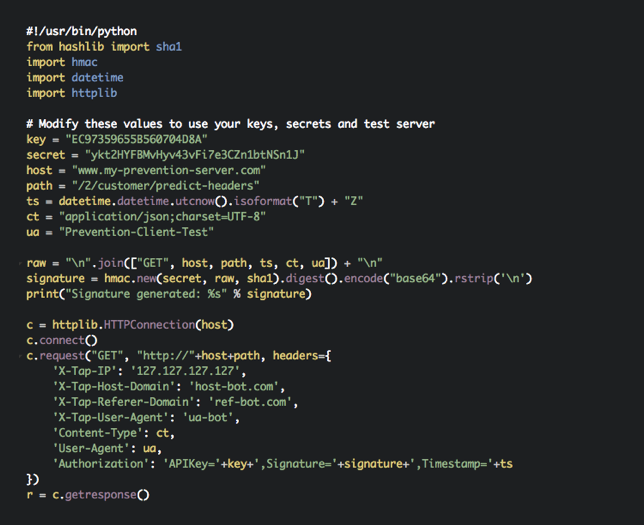 Add MediaGuard to your existing software with just a few lines of code. MediaGuard is implemented through a RESTful API, and is called via a few lines of code available in Python, Ruby, Go, and C++. The White Ops customer success team will help with regular hotspot analysis, QBRs and other fraud-fighting best practices to ensure you are protected. MediaGuard comes with a prepared dashboard to help you quickly analyze the number of bots you’ve blocked across your website or app. See the portion of served traffic that White Ops double checks to confirm the efficacy of MediaGuard and continuously improve our detection service. Customers are able to pass certain customized data through a range of parameters with the API for maximum visibility and reporting. Every dollar moving through the Dealer.com platform should have a human on the other side. Our integration with MediaGuard has allowed us to ensure our client’s investments are being spent in the most efficient, effective way possible.